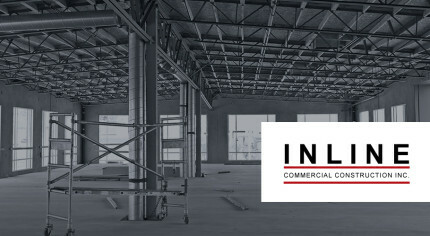 As a general contractor in today’s commercial market, you face increasing pressure to deliver projects on schedule and on budget, all amid steep competition. The bottom line is that your business is successful when you’re able to meet your clients’ project demands. They expect you to be organized, to move forward with a plan, and to stay in control of your project at every step. You should be able to trust the subcontractors that you hire to do the same – and HVAC is no exception. When it comes to choosing an HVAC service provider, you want more than a contractor – you need a partner. Reitmeier understands the challenges of being a general contractor. That’s why we work closely with you to respect the scope of work, stay on schedule, manage projects diligently, and keep you up to speed every step of the way. We have you and your clients’ best interests at heart, and ensure that our HVAC work minimizes the cost of future repairs and protects the life of the equipment. Make more efficient use of your time by reducing the need to oversee HVAC-related work. Stay on budget with an accurate scope of work, and diligence in sticking to it. Ensure the satisfaction of your clients by delivering projects on time and on budget – while minimizing future costs and protecting the life of their HVAC equipment. Reitmeier has been helping commercial contractors manage HVAC projects since 1984. Our core values and belief in diligent, sustainable service are the foundation for our professional partnerships. And we hold ourselves to those standards each and every day. Reitmeier is a trusted ally for general contractors, and we’re leading the way in cost effective HVAC services and maintenance for the Portland and SW Washington markets. Want to learn how partnering with Reitmeier can change your approach to HVAC projects? Click here to get in touch!